Are you always on the lookout for something that makes your smartphone appear distinct and eye-catching? Well, we can’t guarantee attention from others but there’s an app which will keep you hooked on to your smartphone, staring at stunning live wallpapers that will make you feel no less than a hawk flying over a wide expanse of land. The app we’re talking about today can use your GPS location, utilize the satellite view from Google Maps and set it as wallpaper. The app, called Skyline, is conceptualized by indie developer Justin Fincher and is available on Google Play Store for ₹130 ($1.99). Skyline uses aerial and satellite imagery to create moving backgrounds of any location of your choice – you can choose literally any view, even the top of your house, although we would recommend not doing that. Live wallpapers made with Skyline are not just animated and pleasant to watch but also interactive and fun to dabble with. When you switch between pages on the launcher or tilt your device, the background image slides to orient itself, creating a sense of depth. It’s similar to the parallax effect on iPhones. Setting up your choice of the landscape using Skyline is simple. It lets GPS pin-point to your current location as well as allows you to choose a specific one based on your choice. You can then zoom in or out of the satellite view to find the best-suiting scene to be used as the display background. You can also change depth animation parameters to make the transitions appealing to your eyes. Skyline has special features for Android Oreo users running version 8.1 or later to one up against the stock live wallpapers in Pixel devices. The color of the system UI changes based on the dominant tint in the terrain in view. The future update gets the option of automatically changing wallpaper based on your location. So, the two-dollar purchase from Google Play Store seems completely worth it. Obviously, the choice of buying an app is completely yours. 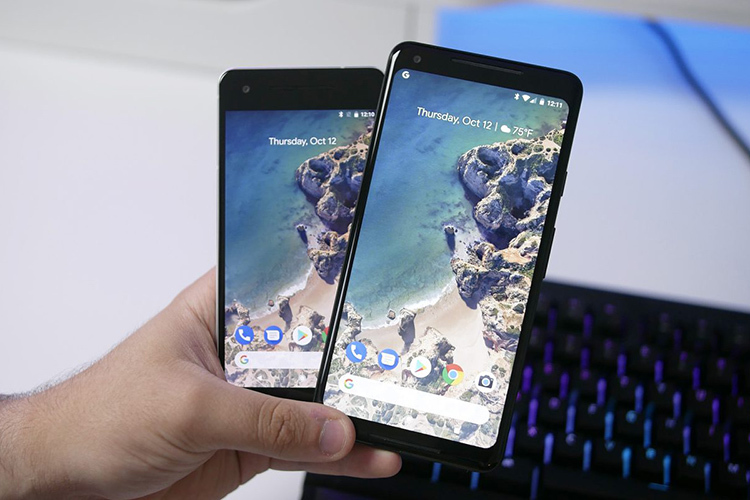 If you’re looking for a free solution, you can pick up this port out of Pixel’s Live wallpapers from XDA – although you’ll be missing out on the excitement of the extent of personalization Skyline offers.